Description: Advanced Front-light System (AFS) is an intelligent system that optimizes the illumination of road curves during the night, on the basis of signals representing several quantities such as speed, steering angle and yaw rate of the car. A vehicle equipped with intelligent headlight gives the driver an optimal illumination of the road even in curves. The goal of this paper is to present the operation of such an AFS through its simulation of data exchange in terms of messages flowing through in-vehicle controller area network (CAN). Baranova, V.O. 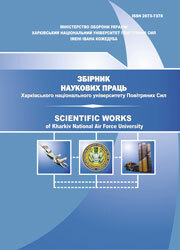 (2014), “Razrabotka funktsionalnoi i strukturnoi skhem intellektualnoi sistemy upravleniia adaptivnogo golovnogo sveta avtomobilia”, Scientific Works of Kharkiv National Air Force University, Vol. 4(41), pp. 69-72.